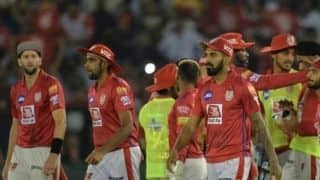 Royal Challengers Bangalore heaved a sigh of relief on Saturday night after they recorded their first win of the ongoing Indian Premier League and thus ending their streak of six straight defeats. 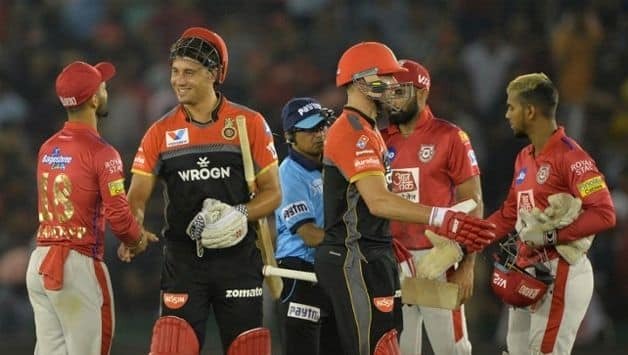 One more defeat and RCB would have becomes the first team in IPL history to start a season with seven defeats but they avoided the unwanted record, beating Kings XI Punjab by eight wickets at Mohali. The win also helped Virat Kohli-led RCB collect first points of their campaign but that hasn’t changed their position in the table. With two points and a poor net-run rate (NRR) of -1.202, RCB are at the eighth spot among the eight franchisees. 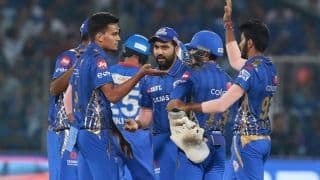 RCB’s fellow bottom-dwellers Rajasthan Royals also won their match on Saturday as they beat Mumbai Indians by four wickets. It was their second victory of the season and with that they now have four points from seven matches and just a rung above RCB at seventh. There wasn’t any change in the overall standings after Saturday’s double-header with Chennai Super Kings maintaining their numero uno status. CSK face KKR on Sunday afternoon and they will finish the week at the top spot no matter what the result of either of the two matches scheduled for Sunday. 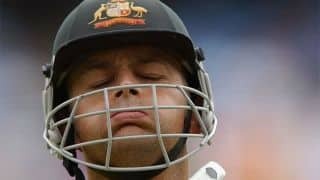 A win though will help them further their grip over the top position taking their points tally to 14 while if KKR win, they will move to 10 points. 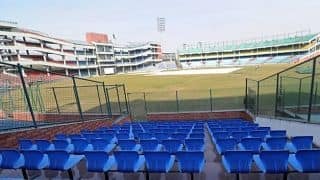 However, a lot can change depending on how the second match of the day between Sunrisers Hyderabad and Delhi Capitals finishes. Both team are within a chance to move as high as the second spot in the IPL points table.